After a recent trip to Australia I found myself with a pile of notes on the great wines I had the pleasure of enjoying. Not to mention, meeting some of the nicest people who welcomed me into their wineries and tasting rooms. A big thank you to all of you! So now I'll do my best to keep these in order of tasting visits over my next few postings, as the trip began in the Barossa valley. 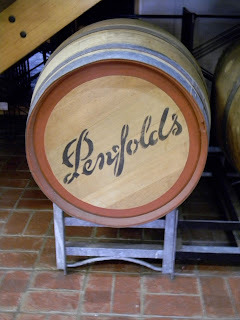 After meeting the wonderful folks from Whistler Wines to pickup keys to their B&B, Penfolds was the first stop. It's well known Penfolds is a very large producer yet they made me feel right at home in their tasting room as if they were a smaller winery. I had the privilege tasting the 2007 Grange Shiraz, one of Australia's most famous wines, however it's probably not in my budget to purchase my own bottle yet at $400-$600/bottle, depending on the vintage year ...maybe someday. Click a link below to find more info. on my favorites in the $25-$60. 2010 Bin 138 GSM (Granche, Shiraz, Mourvedre) - A very popular blend in the Barrossa done by many wineries. Easy drinking, light oak, vanilla, everyday wine. New release. 2010 Bin 128 Coonawarra Shiraz - Black pepper, dried herbs, slightly dry. New release. 2008 Bin 28 Kalimna Shiraz - Plums, slightly dry, subtle oak. Just released 2009. 2007 Bin 407 Cabernet Sauvingnon - Black currants, medium oak. Just released 2009. 2009 RWT Shiraz - Plums, soft tannins, subtle oak and well balanced acidity. This was my #1 favorite! 2009 Bin 707 Cabernet Sauvignon - Full body, rich dark berries and mocha with velvety finish. As mentioned, some of these have been recently released with new vintage years. I'd be mistaken to not mention the Koonunga Hill and Thomas Hyland wines by Penfolds to meet the $10-$30 price range. While I didn't taste these in Australia, I have in the US and been quite pleased with most of these. 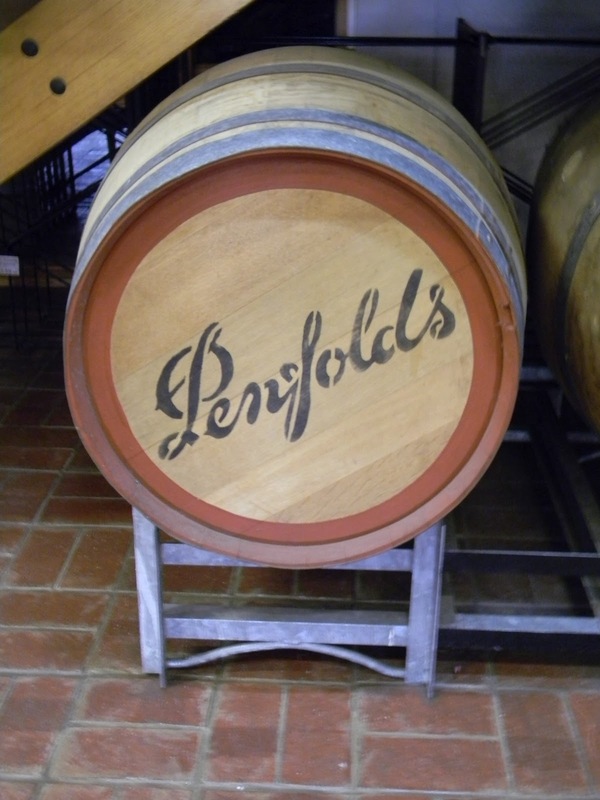 Overall Penfolds provides a wide variety of wines and price ranges. You're bound to find something to meet your tasting desires and budget. Some days I’m a traffic cop, logistics guru, pool repair guy, avid fisherman and ok golfer. Its safe to say I’m not a professional writer, although I hire them for work and wish I had their writing chops and patience. I just enjoy sharing my learnings of wine and food with friends. I can talk to just about anyone and have no fear in trying new things. My friends tell me to open a restaurant, I tell them there are so many good chefs out there! Why bother, when all I want to do is relax with a good meal and a wine I’ve never tried before. That’s me…not so complicated, just keep it simple! Have a wine for me to try? I'm happy to accept any sample bottles for a tasting reviews. I can't guarantee a review and I'm not looking for freebies; however I'll always keep an open palate for something new. Please feel free to e-mail me with your request.